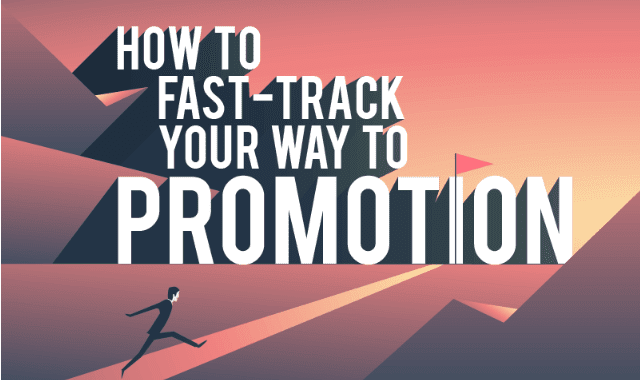 How to Fast-Track Your Way to Promotion #Infographic ~ Visualistan '+g+"
Promotion is a form of career advancement that’s tied to better opportunities and benefits for employees. For one, promoted employees receive a higher salary that matches new job responsibilities. Along with the increase in compensation, a promotion also gives you a higher-level job title—an accolade you can add to your credentials on your resume. Your chances for promotion are high when the management sees that you demonstrate the knowledge, skills, values, and behavior of someone fitting to lead your team or organization. That said, the following strategies may prove helpful for those who are looking to move up the corporate ladder fast!